RAPAPORT... Lucapa Diamond Company has recovered an 11.88-carat stone during bulk sampling at the North zone of its Mothae mine, the third new section to produce large stones. 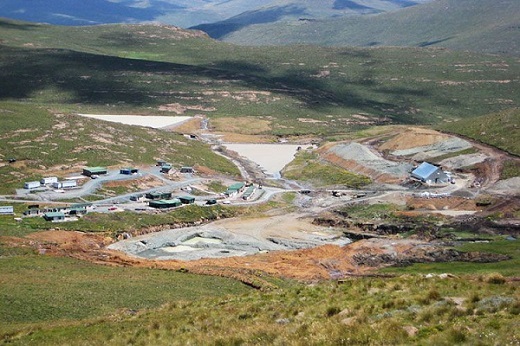 The miner has been testing the unexplored areas of Mothae since it purchased the Lesotho asset last year. The company found an 89-carat diamond in the Southeast-zone sampling and a 25-carat yellow from the Neck region. The large-diamond recoveries during bulk sampling are encouraging, CEO Stephen Wetherall said. The plan was for the program to provide the miner with additional data not included in its original report of Mothae’s total resources, which was based on geological testing, Wetherall noted. Lucapa expects to complete bulk testing by the end of September, after which the miner will update its resource report.